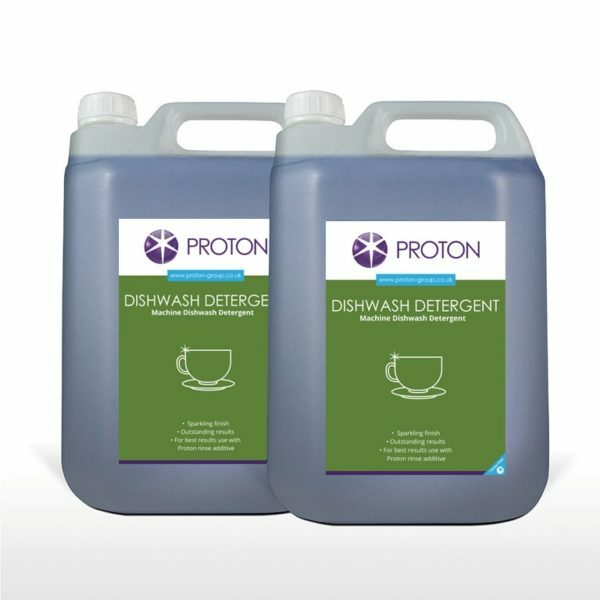 Proton Dishwash Rinse Aid is specifically designed for use with automatic dishwash machines. The special formula promotes the rapid drying of washed crockery, cutlery etc. by causing the rinse water to be pushed away from the surface to allow air drying. As any rinse water is removed before it can evaporate on the crockery, cutlery etc, Proton Dishwash Rinse Aid helps to reduces spotting.